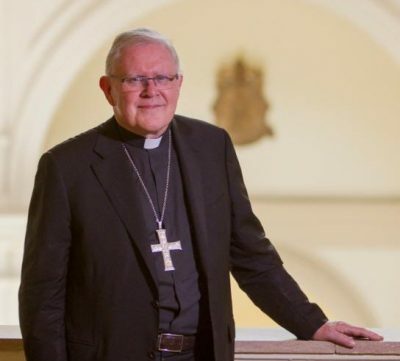 ROME (CNS) — In the wake of historic allegations of sexual abuse and cover-up in countries around the world, the Catholic Church is experiencing the same challenge that has brought a reckoning to those who used their authority to abuse or silence victims, said an Australian archbishop. Allegations such as those raised against Cardinal Theodore E. McCarrick, retired archbishop of Washington, represent a “major shift” within the culture of the church, Archbishop Mark Coleridge of Brisbane said June 21. Abuse survivors are “willing to speak and they are believed,” and the church has new processes of investigation, he added. Among the speakers at the conference was Jesuit Father Hans Zollner, head of the Pontifical Gregorian University’s Center for Child Protection, and Bishop Gilles Cote of Daru-Kiunga, Papua New Guinea. Cardinal McCarrick, retired archbishop of Washington, said June 20 that he would no longer exercise any public ministry “in obedience” to the Vatican after an allegation he abused a teenager 47 years ago was found credible.